Converting the train to solar–using a vintage vehicle built shortly after World War II–was a challenge. 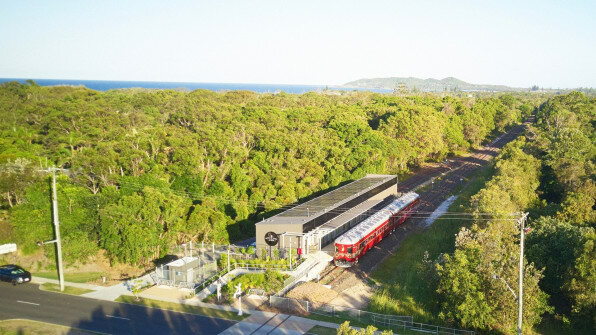 “We were aware that it had not been done before and wanted to push the boundaries,” says Jeremy Holmes, development director of the nonprofit Byron Bay Railroad Company, which runs the train. The route, which travels between the central business district and the northern part of the town, had advantages: At a little less than two miles long, it’s short, and the track is flat and almost perfectly straight between the stations, requiring less power than other routes might. The vintage train, which was built with aluminum fuselage in a factory that made planes during World War II, is also lightweight. 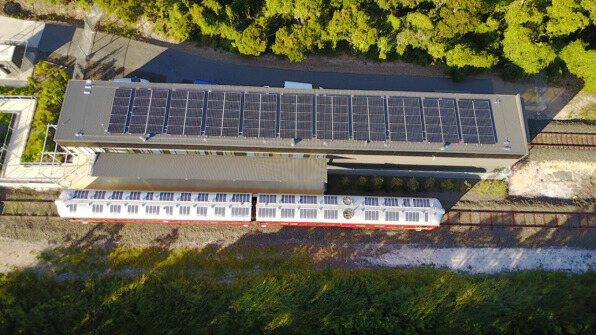 Custom curved solar panels on the roof of the train send power to a set of batteries that replace one diesel engine; the other engine is still in place and can provide backup power in an emergency. As the train brakes, it generates more electricity, like a hybrid car. At a train station, the train can be plugged in to pull more power from solar panels on the roof. 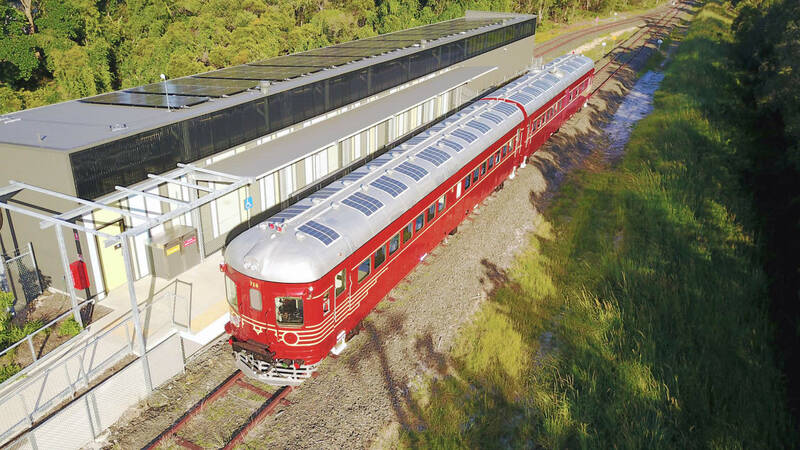 If there’s a long period without sun–somewhat unlikely in this part of the world–the train can also plug in to get renewable energy from the local grid.“The large solar array on the platform roof coupled with the custom curved solar panels on the train roof produce more solar energy per day than is required to operate an hourly return service,” says Holmes. With one full charge, the train can make 12 to 15 trips.